Ace manufactures heavy duty jacks for mobile applications including outriggers for vehicles. These can be supplied with DC oor AC operated compact power packs. These Cases are highly reliable, rigid weather proof and customized enclosures, manufactured “to suit customers demand. Vega aviation supplies these cases to defence. DRDO, Aviation industry ISRO, BEL, BEML to name a few. n order to keep pace with never ending demands of our customers, we are into presenting a wide assortment of Lifting Jack to clients. 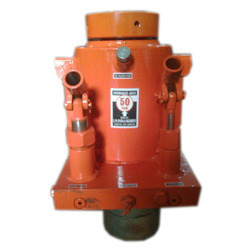 This Lifting Jack is highly demanded for use in garages and automotive repair centers. In addition, we manufacture these products using top quality material.